Advertising through the use of email is a way to get information directly to a customer base with direct mailing rather than the broader spectrum of display marketing. Emailing pre-existing clients with new product information or to alert them of current or upcoming sales keeps a client base aware of the current events in your business. With email marketing, you can alert your customer base and inform them of just enough relevant information to encourage them to click on links and visit your website. Keeping your customers informed will keep them vested in your products and services and encourage them to share and distribute your product information. Before advertising and marketing through the use of email and the internet, businesses had to completely depend upon word of mouth, on air advertisements, and paper advertisements and mailings. The use of traditional mailing took time and money to create and distribute. Design and printing required lead times of up to a week or more to get information to the public. Depending upon the printing and distribution of paper periodicals and newspapers that were distributed weekly or monthly meant that by the time current events reached the consumer, they were no longer current, but often old news. With the speed of today’s rapidly changing market, the need for a quicker way to get information to the public is absolutely necessary for any company trying to keep current. With marketing and advertising sent directly to your customer base through email, the transfer of information is instantaneous. You can alert your customer base of ongoing specials, new products, and sales as soon as they happen. There is no waiting for printing and “snail” mail delivery. Your customers are always up to date on the happening in your business. The added benefit of email over paper advertisements include the ease of forwarding and sharing of information with business contacts and friends who they feel may be interested in what you are offering. Another benefit of email marketing over paper and on air advertisements is the ability to track and monitor the return on investment of your emails. Being able to track the responses made to your advertisements and newsletters will assist you in increasing your marketing investment. By knowing which tactics provide the most return you can design further mailings with details that you know work to attract attention. You can also monitor the geographic location and demographics of returns from emails to learn how to market directly to each for the best return. While there is a design process involved in marketing and advertising through email, it is nowhere near as tedious and time consuming as it used to be with paper flyers and brochures. Direct to email newsletters and advertisements are easily designed with the available software of just about any office. With the additional software and tools available through a marketing professional, emails become more eye-catching and often a better return. 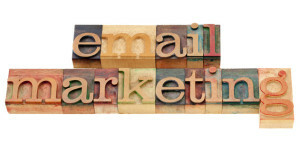 The design involved in an email is still less time consuming and less costly than paper or on air advertisements. Designs are ultimately the final decision of the business owner, but professional artist and advertisement executives who understand marketing strategies will make your email marketing campaign more effective using models and monitoring and tracking returns to best use your investment. With the advent of just about everything from paperless billing to bank statements, it is rare that anything of value is received through direct paper mailings. Often, mailboxes are left unchecked and mail unsorted because consumers expect nothing but junk mail and advertisements. Even with the increase of spam in email, most accounts are still checked multiple times a day, especially during the peak work hours. Because so much important information is transferred digitally through emails, the likelihood of an email being ignored is slim. With the ability to reach a broad customer base and the speed of delivery, it is unfortunate that there are some downfalls to marketing through email. There are a few ways the emailing may not be reaching a customer base and why reaching new clients through email may be rather difficult through the digital mail. In paper mailings, if an address is even slightly incorrect, chances are it will still reach its intended recipient. Even with incorrect zip codes and transposed house numbers, the mail often finds its intended location. 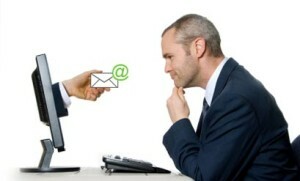 Not so with email; this is its greatest downfall. When a customer gives their email address to a business, whether they are hand writing or typing it into a form, there is always the chance of human error. One transposed character or an illegible number is all that it takes for an email to be rendered undeliverable. Because email is sometimes the only contact information used, if the address is incorrect, there is no other way of contacting the client to verify the address or try to deliver information via alternate route. One of the greatest downfalls of marketing through email is the large amount of spam emailing that is received by just about every email account holder. Because some companies sell email address to places that will send countless amounts of unsolicited email, often users have a spam filter that will remove all emails from addresses that are sending multiple mailings. 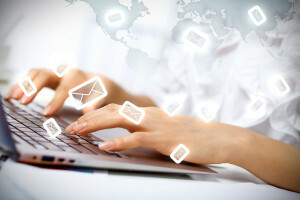 With some filters, a user has to add each address of emails that he would like to receive instead of having them sent directly to a secondary or trash folder. Reminding clients to add your address to their contacts will keep your emails going directly to their inbox, but this step requires active participation on the user’s part which may not end up happening.